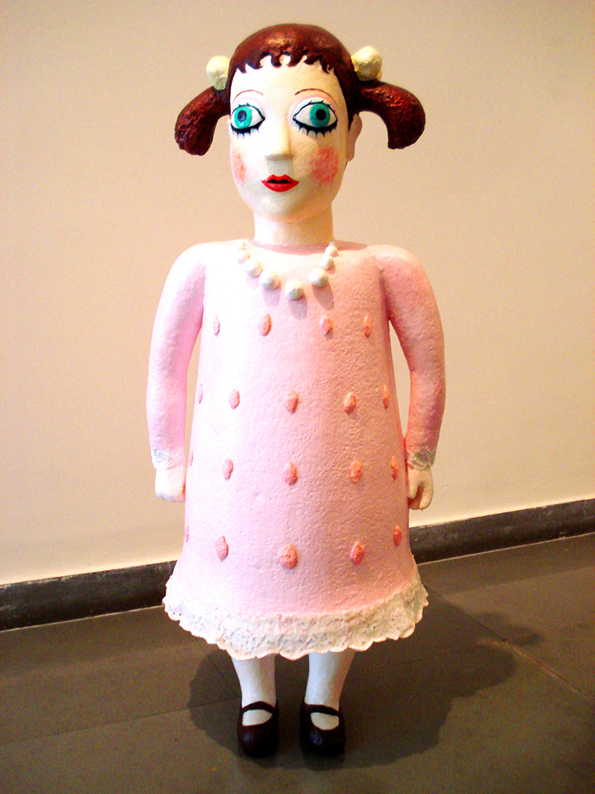 A standing doll-form exploring ideas of beauty & femininity. My work has an ongoing preoccupation with toys, employing them as both fun, innocent play things but also as �insidious� repositories of cultural conditioning� The dual nature of toys is approached with satire & ambiguity echoing the charm & menace of the objects themselves. 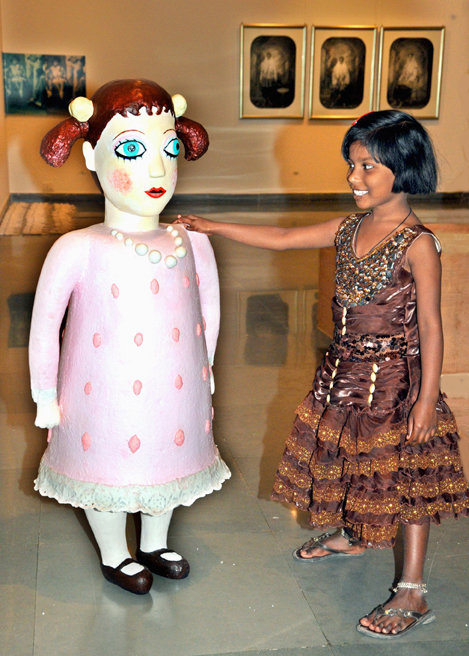 The piece was carved in polystyrene & laminated with fibreglass & painted.